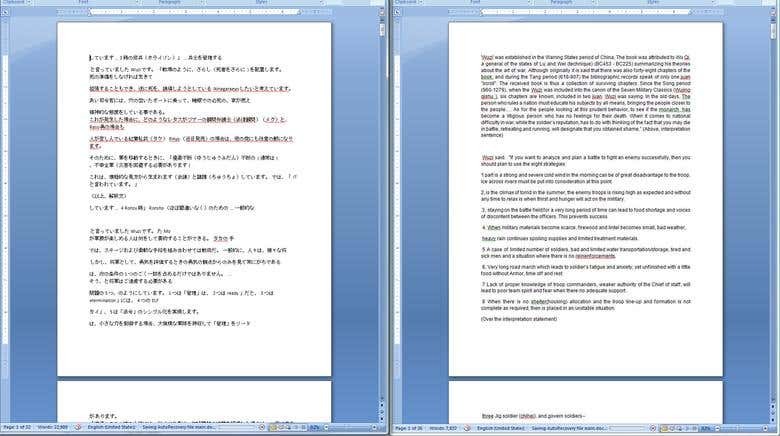 Translate a document from Japanese to English language. This document can only be translated by a very deep native Japanese with the knowledge of China Warring periods history. It was a success. We are a team of Professional Translators/transcribers/Engineers/Data Entry workers/Developers/Designers from all over the world delivering quality service in our chosen market. Precision, accuracy and timely delivery make up our core values .Beautiful people working for beautiful people.